BORN and raised in Israel, Zohar Chamberlain Regev, 48, witnessed the unjust treatment of the Palestinians by the Israelis. She recalls an incident when she was 5. 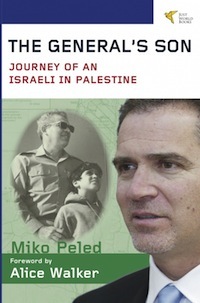 “Back then, my family lived in a kibbutz, a collective community settlement unique to Israel. A Palestinian family also lived there. “One day, my kibbutz complained to the regional council, which sent their men and demolished the Palestinian’s house. “This family had young kids, one was more or less my age. They were left homeless. So my family and a few others from the kibbutz brought tents to help them, as a show of sympathy and solidarity. “The rest of the community did not understand why we were helping them. But to us, they were victims of injustice. They were left without shelter, and at the mercy of the rough weather. “I did not see them as enemies. They are just like me, humans,” she said. When Zohar grew up, she decided to dedicate her life to fighting for the Palestinians., This has always been part of her upbringing, thanks to her parents. “Ours has always been a dissident family. I would follow my father to demonstrations. “We were part of the protest against the 1982 Sabra and Shatila massacre, calling for an investigation into the incident saw the killing of between 460 and 3,500 civilians, mostly Palestinians and Lebanese Shia. Zohar left Israel for Spain in 2004 to distance herself from what was happening there and to keep fighting for the Palestinian cause. “It’s difficult to do so if you in Israel, where you see so much of injustice every day. She has been involved in the International Freedom Flotilla’s Spanish coalition, Rumbo a Gaza, since 2012. She is also the owner of the Women’s Boat to Gaza, Zaytouna-Oliva, which was seized in 2016. 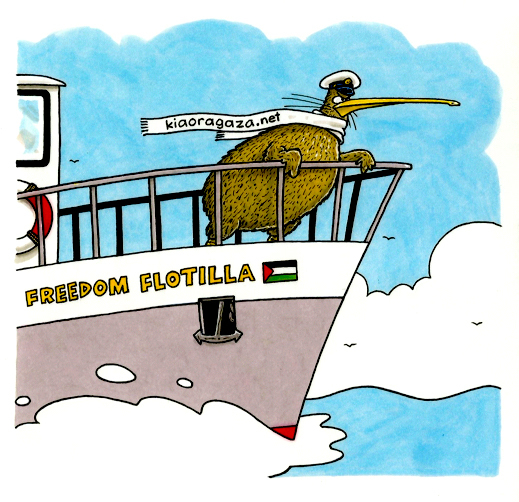 Most recently, she was the boat leader for the Freedom Flotilla Coalition’s 2018 flotilla, Al-Awda, which was intercepted by Israeli authorities in June. “My motivation for doing this, apart from the fact that it concerns human rights, is my upbringing as an Israeli Jew. “We’ve been taught about the sufferings of the Jewish people during the Holocaust and how the world was silent about it. Now the same is happening to the Palestinians in Gaza, and many in the international community are turning a blind eye to it. “It’s important for me to raise my voice against the injustice. It’s a fight in the name of humanity,” Zohar said in an interview with the New Sunday Times recently. Her most recent journey to Gaza was cut short when the Al-Awda flotilla boat was intercepted by the Israeli navy 42 nautical miles off Gaza. “We received messages from the navy through the radio, even though we were in international waters. “In a matter of minutes, we were surrounded by small rubber fastboats. Soldiers, plenty of them, in white uniform, donning ski masks and sunglasses, jumped into our boat with taser guns. “Since we were a non-violent movement, we agreed that we would not resist them, other than our chants of ‘Stay Away, Disobey’. It’s useless to tell the soldiers what they were doing was outrageous,” she said. The Al-Awda boat , which had a Malaysian representative, Dr Mohd Afandi Salleh, on board, was carrying medical supplies. 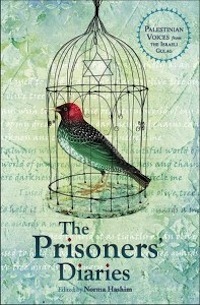 They were eventually released by the Israeli regime. However, Zohar believes the journey is much more important than the final goal or destination. 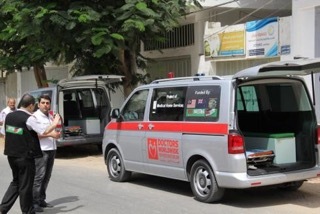 Whether the team arrived in Gaza, the fact that it was going in that direction, showed it was using the freedom of movement to express solidarity with the Palestinians. “We need to inform the world about the hardship of the Palestinians, offer as much help as possible and raise funds to help their cause. “I think when we stand in solidarity with the Palestinians, we are also embedding human rights in our work.